Did you know Gargoyles can be traced back much further then the popular medieval notion? Gargoyles were used in Ancient Egyptian, Etruscan, Roman and Grecian architecture, commonly adorning structures in the form of lion heads. Medieval, Gothic gargoyles were not seen until after the fall of the Western Roman Empire. These Gargoyles were usually creatures carved out of stone with distorted faces or a mixture of different animals know as Chimeras. Churches often used Gargoyles to convey a message of good and evil. They were also said to ward off evil spirits. The most well known example would be Notre Dame de Paris. Notre Dame’s Gargoyles are not only aesthetic but functional too. Gargoyles also serve a greater purpose then just cool ornamental structures. Their main function is to divert water off of buildings, alleviating masonry from water damage. 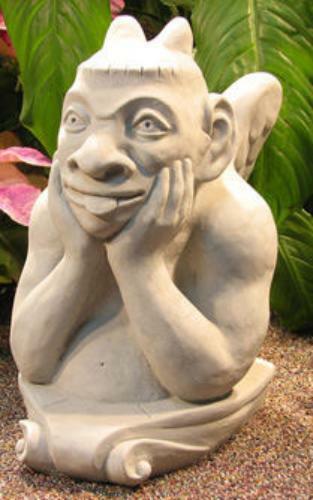 In fact, the Italian phrase for gargoyle “gronda sporgente” translates to “protruding gutter.” Grotesque is the term used to describe ornamental stone figures that do not convey water. The use of Gargoyles faded out during the early eighteenth century when downspouts became commonplace. The British Parliament even passed an act in 1724, requiring all new construction to use downspouts. The need for government intervention is attributed to Gargoyles falling from buildings and causing damage.